Cheap flights from Paris to Sydney, Australia from €537 return! Star Alliance partners Lufthansa and Air Canada are offering discounted return flights from main airports in Spain to Mexico City. Return flights are available from €339 incl. bag in hold. The cheapest flights to Mexico are available from Barcelona and Madrid. At this moment great availability at the beginning of next winter season 2019/2020 which is perfect time to visit this country. However this seems to be a flash sale available only today so hurry up if this is something interesting for you..! Althought some of the flights are routed via Germany (Munich, Frankfurt) remember you can not skip first leg of your outbound flight and star your trip in Germany i/o Spain. Any leg you miss rest of your itinerary would be cancelled.. If interested in this discount deal with Lufthansa and Air Canada you will find the cheapest flights when departing from Spain to Mexico City from 30th of April to 4th of June or 25th of August to 15th of December 2019. Min stay 5 days. Max stay 3 months. No stopover available. Including 23kg bag in hold. Fare class is “K – Discount Economy – 25% to Miles & More loyalty programme“. Air Canada / Lufthansa promo sale is running till 30th of April or until sold out..
We recommend you firstly compare the cheapest flights via Google Flights (Guide). The tool gives you almost instant result and you can easily browse throughout all the months. You can then book this deal directly with Air Canada / Lufthansa or your preferred booking agent. If interested in this offer you can refer to our booking samples below. You can book your accommodation in Mexico City via Booking.com. Also you can further discount your hotel when using one of following promo codes. Booking sample of latest promotional offer of Lufthansa, United or Air Canada. 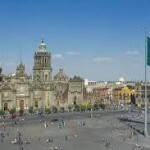 Star Alliance cheap flights from Spain to Mexico City from €339! Your outbound flight from Barcelona to Mexico would be on Friday, 22nd of November. Inbound flight from this exotic and usually fairly expensive destination in North America back to Europe on 6th of December 2019. Want to visit Mexico City in main tourist season do not miss these Lufthansa cheap return flights from Europe to Mexico!